The science is in. Healthy, rat-free islands mean healthy coral reef biodiversity. Island Conservation’s Director of Science, Dr. Nick Holmes, discusses this new study in WIRED. Invasive rats are one of the greatest threats facing global seabird populations. And, it turns out the presence of invasive rats on an island affects not only terrestrial species, but can also alter the near-shore marine environment. A new study published in Nature and featured in WIRED found that coral reefs that surround rat-free islands are more biodiverse and healthier than ones than those adjacent to rat-infested islands. Why is that, you ask? Seabirds bring nutrients to the island in the form of their excrement and while that benefits native plants on islands it also gets washed into the ocean which benefits the marine environment. 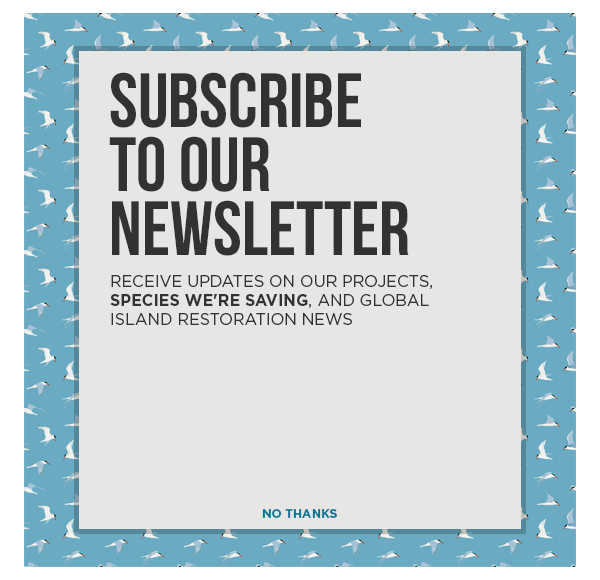 The studies’ findings confirm a suspicion that island communities and conservationists have had for decades, and provides a clear path forward to protect both seabirds and marine species around the world. Read more about this new research.